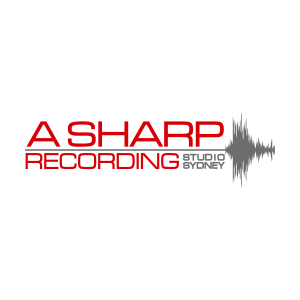 A Sharp Recording Studios is the oldest independent recording studios in Sydney, being recognized by many up and coming Producers and Artists of today as a studio of preference. totally refurbished in late 2014, A Sharp represents a designer working living space, acoustics that you can trust and enhanced equipment specifications; imperative in the rethink of the studio. An impressive list of microphones, outboard, SSL AWS 948 and critical monitoring for every tracking or mixing need. A Sharp offers a variety of recording spaces including an Oak covered-floor main live area of some circa 50m2. The only commercial facility in Australia, A Sharp boasts the installation of a full Flutter Free acoustic wall, designed for high frequency sound diffusion which enhances the size of the main live area. Opposite, acoustic curtains have been installed, to provide a variety of sonic options. Further recording spaces are 2 isolation booths attached to the live area with all spaces visible from the control room. Well known for its suburbia location with all day free parking and away from the hustle and bustle of City Sydney, A Sharp is situated some 200m from Riverwood train station on the main Sydney International and Domestic Airport line, a direct line to Central Station. A Sharp has welcomed several independent and major labels such as ABC Music, Universal Music and Golden Robot records, and some notable National Acts such as Birds Of Tokyo, The Screaming Jets, The Rumjacks, Mental As Anything, The Choirboys, and The Vanns.